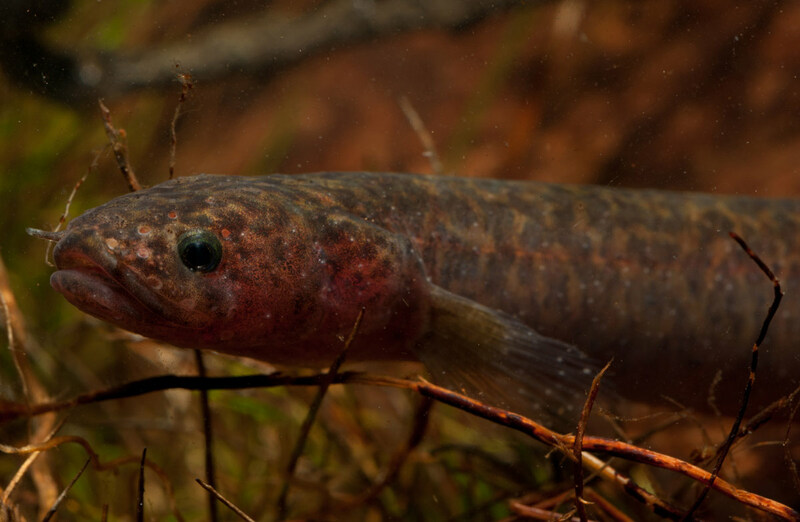 New Zealand's mudfish are small, native freshwater fish, regarded as a treasure to iwi. Mudfish/hauhau/waikaka/kōwaro are eel-like in appearance, with long, stocky bodies, thick slippery skin, and no scales. They are found in swampy lowland habitats such as wetlands, pākihi, pools in swamp forests and slow-flowing streams and drains. Although the Chatham Island mudfish are an exception, as they live around the margins of peat lakes. 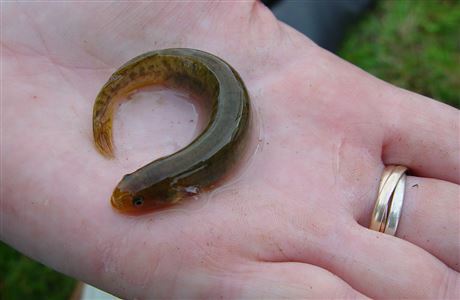 Mudfish vary in size between species, but adults grow to around 9–12 cm long. Some of the largest mudfish found have been up to 17.5 cm in length. There are five species of mudfish in New Zealand, all of which have a conservation status of either 'Threatened' or 'At Risk' under the New Zealand Threat Classification System. Northland/burgundy mudfish are found only in Northland, around Kerikeri and Ngawha— populations are confined to a small area within a 25 km radius of Lake Omapere. Black mudfish are found in a variety of wetland types from Waikato to the far north. 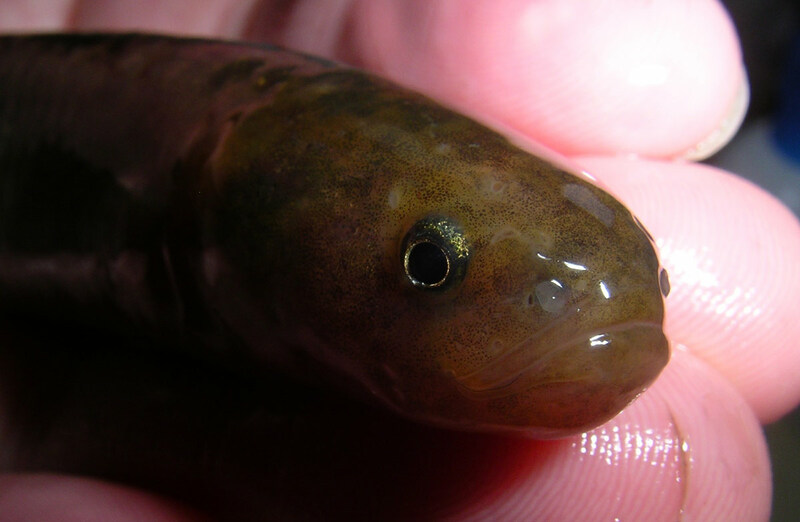 Brown mudfish are the most widespread mudfish species in New Zealand, found in Taranaki, the lower North Island, and the West Coast of the South Island. Chatham Island mudfish are the most recently discovered NZ mudfish species. So far, they are only known from three lakes and a stream on Chatham Island. Canterbury mudfish are the most threatened of New Zealand's mudfish species. They have a conservation status of Threatened (Nationally Critical) under the NZ Threat Classification System. Canterbury mudfish are found in a limited number of waterways in the Canterbury Plains, between the Ashley River (in the north) and the Waitaki River (in the South). More information about this species can be found on the Canterbury mudfish website. Mudfish have the ability to survive during times when there is no surface water—something most other fish can't do! During these 'dry' periods, their metabolism slowly drops and they absorb oxygen through their skin. 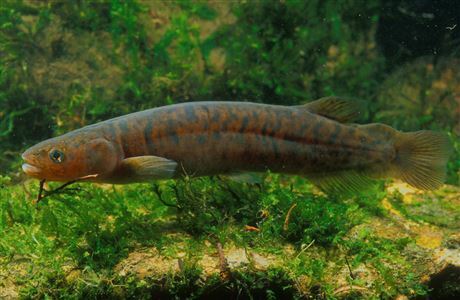 Mudfish can usually only cope with short periods of time without water, but have sometimes been known to survive for several months after surface water dries. However, surviving during 'dry' periods is very hard on mudfish, and after water returns mudfish are often thin, in poor condition, and can have lower breeding success. 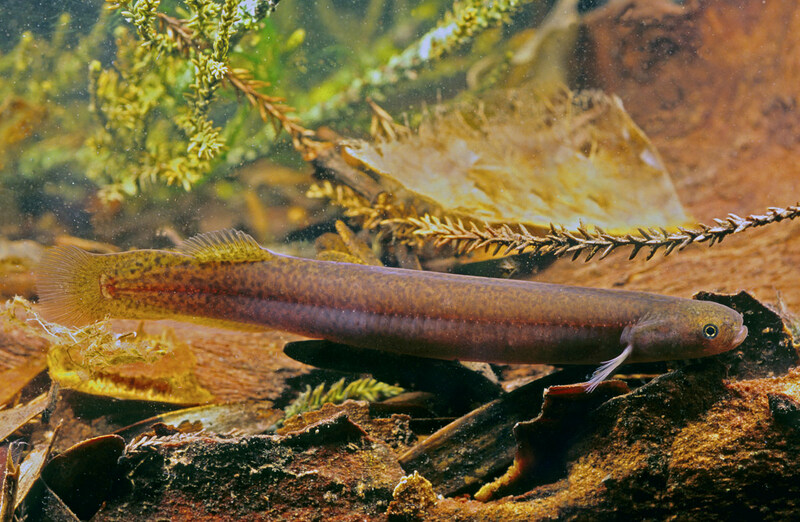 Mudfish need to have damp surroundings and cover, such as logs, tree roots and vegetation, to keep them alive during these times. When surface water returns, they become active again immediately—ready to swim, eat and breed. Their ability to survive in these conditions means that mudfish can live in places other fish can't. 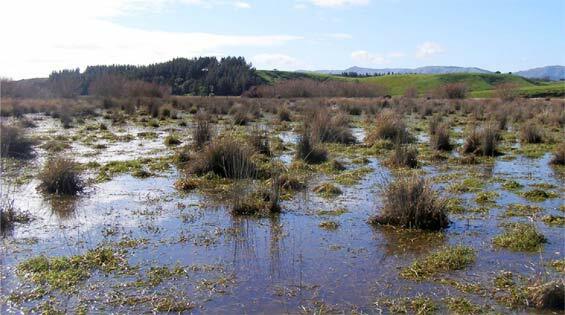 Throughout New Zealand, lowland wetlands have been extensively drained and modified. This has greatly reduced suitable mudfish habitat, and made remaining mudfish populations more vulnerable to threats. One of the major threats to mudfish is habitat modification. Wetland drainage, land clearance, and modification of streams and drains decreases available habitat. Drain clearance, especially machine clearance where spoil and weeds are dumped on the margins, destroys the habitat for mudfish living in these drains. Fish can also be killed as they get caught up amongst the spoil and weeds, and stranded on the banks. Manipulating water levels to drain or pond wetland water can stress mudfish. 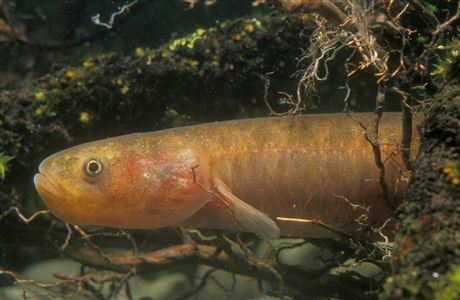 Mudfish live in wetlands that have natural variations in water levels between seasons—extended dry periods may cause death, while artificial ponding of water can provide opportunity for other fish (e.g. invasive species, such as gambusia) to establish in the habitat, creating competition for mudfish. Drought can threaten the survival of mudfish by completely drying up their habitat. As wetlands are modified, vegetation cleared, and natural variations in water level altered, natural periods of drought (which mudfish are able to cope with, provided damp refuges remain) can be exacerbated and lengthened, creating conditions too harsh for mudfish to survive. Gold mining of pākihi terraces on the West Coast of the South Island is one of the biggest threats to brown mudfish in this region. These landforms are strongholds for mudfish on the West Coast, and mining destroys the habitat. 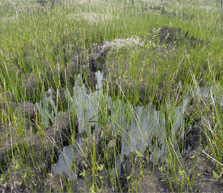 Grazing pressure on wetland plants and stock trampling wetland edges can damage habitat, making wetlands more vulnerable to drought and weed invasion. Nutrient input (for example, through run-off and leaching of nitrogen and phosphorus from the surrounding catchment) can degrade the water quality, potentially making it unsuitable for mudfish. Fire can damage the habitat of Northland/burgundy and black mudfish, drying out and opening up the wetland to weed invasion. Northland wetlands are very susceptible to fire during dry periods. Fires were once a natural process for these ecosystems, as they helped regeneration of plants. Today, other pressures have made wetlands more susceptible to, and less able to cope with, fires. Weeds compete with native vegetation, can alter the ecology of the wetland, and may degrade the habitat. 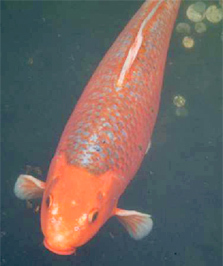 Invasive fish species, such as koi carp and gambusia, can alter the ecology of wetlands, prey on mudfish eggs and fry, and compete with adult mudfish for food and habitat. Gambusia are a particular threat to Northland/burgundy and black mudfish. 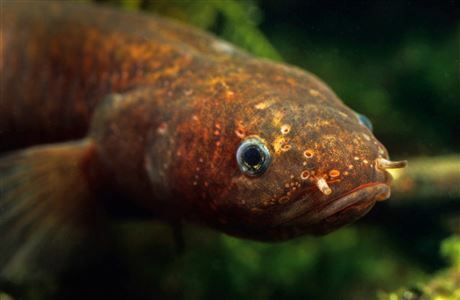 They are present in many waterways throughout the upper North Island, and reproduce rapidly, colonising new habitats and establishing large populations within areas that these mudfish species occupy. Gambusia are voracious feeders, competing with mudfish for food resources, and can also eat mudfish fry (young fish). Competition with other native freshwater fish species can also be a threat to mudfish. They are rarely found in high numbers in habitats where other fish are present. Many wetlands that support mudfish populations are on privately owned land. Populations are often found in small, isolated habitats, so even a small wetland can be very important. Protecting and restoring wetlands, drains, water-races and swampy streams where mudfish are present will help to ensure the right environmental conditions and food resources are available, increasing the mudfish population. If you think that a wetland on your property could be suitable habitat for mudfish, contact your local DOC office for advice about carrying out a survey. Remember to always check council rules to see if the following actions are permitted, or if resource consent may be required. Fence off the wetland to keep stock out and prevent wetland plants from being grazed and habitat trampled. It's important that stock are kept out all year round, even during summer months. Increase the size of the wetland when establishing fence lines by including boggy areas and wetland edges, as these can become good wetland habitat once grazing pressures are removed. Remember that mudfish are not good at competing with other fish species, so avoid creating new connections between the wetland and other waterways. Plant a native vegetation buffer around the wetland to help to protect the habitat and water quality from the impacts of surrounding land-use. Minimise nutrient inputs, such as nitrogen and phosphorus, which are transported into wetlands from the wider catchment by runoff and seepage. Careful management of fertilisers throughout the catchment can prevent excess nutrients from entering a wetland. Control weeds to reduce competition with native plants. Weeds can also impact on the water table and ecology of the wetland, as well as alter the nutrient balance, leading to changes in water quality. Maintain drains using mudfish friendly methods. Create shade by planting native plants on the margins to suppress growth of freshwater weeds. If physical removal of weeds is essential, then clear only short sections, or one side of the drain at a time, to retain habitat. Allow natural water level fluctuations, as mudfish tend to be found in wetlands that have naturally variable water levels. Avoid using drains and weirs to manipulate water levels. Prevent invasive fish establishing by finding out what invasive fish species are present in the catchment around the wetland and being careful not to accidentally move them between waterways. Allow for long-term conservation of the wetland by formalising wetland protection with a conservation covenant. In some places, councils may also support landowners who are protecting and/or restoring land for conservation purposes (such as covenants). For example, councils may provide some funding towards restoration costs, or offer rates remissions on land under legal protection. Check with your local council to find out whether they can provide any assistance. Wetlands are areas where water is the primary factor controlling the environment and associated plant and animal life.